This is the time of year where the most popular topic is procrastination. Students e-mail me from all over the country desperate to overcome their procrastination. And to be honest, I'm impressed. The fact that you want to stop procrastinating is kind of awesome. Today I want to share with you the worst mistake many people make (I've done this before too) when creating their to-do lists - a mistake that basically invites procrastination over to play video games with you and be your best friend (and not ever do any work). You're assigned an essay in a class. What is the first thing you do? Did you catch the mistake there? While obviously C is not so great, the real mistake is B. Writing a whole essay is overwhelming, even to straight-A students. I love reading and writing, but seeing "Write an essay" on my to-do list is enough to make me want to go play video games instead. Looking at a big project will make even the best anti-procrastinators want to think of doing anything else but tackling that big ugly project. Instead, the first thing you should do when you're given an assignment is D, "Put 'Create project to-do list and calendar reminders for essay' on my to-do list." 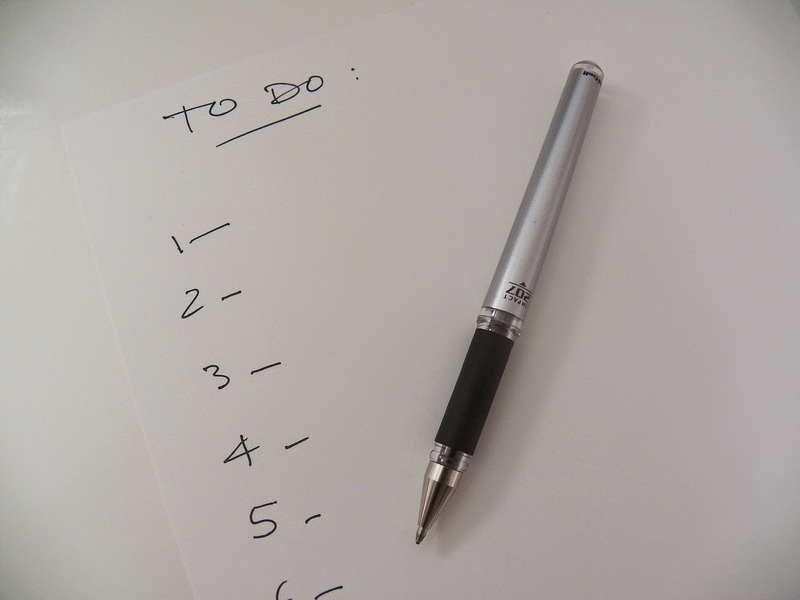 It's easy to get overwhelmed with all the things you have to do to complete a big project. Instead, it's best to focus only on the very NEXT step you have to take, and do your best to forget about everything else. That is why the first to-do item on your list should be to sit down and break that big project into smaller to-do items (as well as set SMS/mobile reminders on a calendar, like Google Calendar, to make sure you don't get behind). Asana is what I use to create my to-do lists for work and I love it (you can use it on your phone and computer). You can literally create a project and then create the small items that need to be done under that project, each with their own due date. Now, that may seem like a lot, but the key here is that you would put all these items under a project, and then create another project like "Today's Tasks" and then just put only the next to-do item in that list, so all you can see is what you need to do that day. The more time you put into breaking a big project into smaller items, the easier it is to accomplish. When you sit down to "study" you then have a plan, instead of just starting at an essay and wondering where to begin, dreading the whole thing. Let me know how this goes for you and please share in the comments any other things you have done that have helped you overcome procrastinator habits.